RPM (Red Hat Package Manager) is a package format used by Red Hat, Fedora, and many others distributions. There are still some applications, especially old appications which is available only in RPM format. So, it's not easy to install that application on Ubuntu. 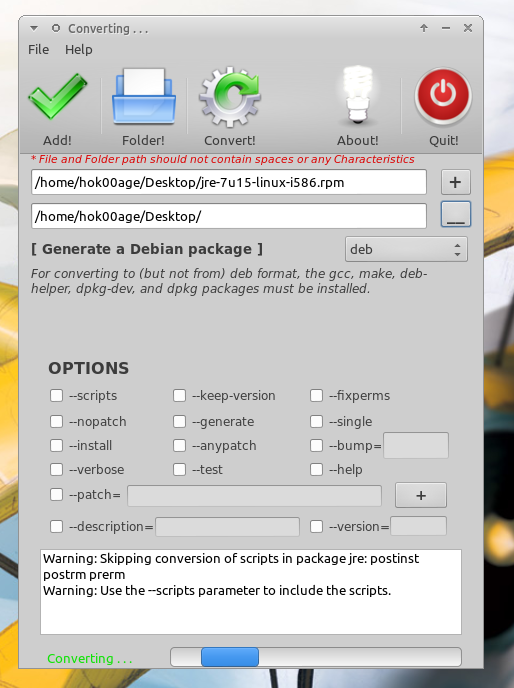 Fortunately, there is an application called alien which can convert RPM package into several package format including Ubuntu package (deb). There is also a GUI front end of alien which makes converting RPM package much easier! Introducing Package Converter! Package Converter is simply a GUI front end of alien which can convert between Red Hat rpm, Debian deb, Stampede slp, Slackware tgz, and Solaris pkg file formats. In other words, Package Converter can convert package which alien supports including all alien options. The application which is written using RealBasic also supports LSB packages. It has a simple and easy to use GUI, simply choose the package you want to format to, select the destination folder, select the destination package format from drop down menu and press "Convert!" button on the toolbar. Optionally, you can activate some alien options by checking the available options. 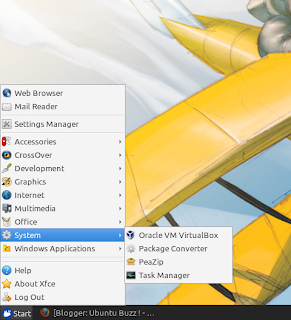 Once installed, Package Converter can be accessed from "System" section from the menu.